Stunning home with a great open floor plan. Beautiful tile in the main living areas and like new carpet in bedrooms. Lots of windows that allow tons of natural light to flow through the entire home. 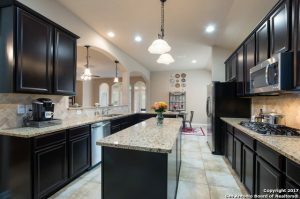 Kitchen boasts custom 42″ cabinetry, built in stainless steel appliances, double oven, granite counters, tons of cabinet and counter space , large island & eat-in breakfast bar. Large master with french doors & raised ceilings. 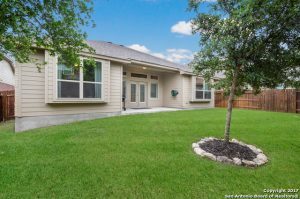 Good size backyard with covered patio and a privacy fence. Come see today. 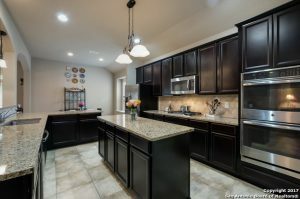 Caitlin Ash, is one of the most desirable areas in the entire San Antonio Texas region. With excellent schools and a close proximity to the city. it’s an oasis just inside of the city. Thank you for reading about 11814 Caitlin Ash San Antonio TX 78253.